High resolution 2 Megapixels CMOS sensor and premium lens. Support advanced real time H.264 with multi streaming rate. The GXV3601_HD is a next generation High Definition (720P) IP camera of extraordinary power and innovation. It features cutting edge H.264, real-time video compression (720P resolution) with excellent image clarity, industry leading SIP/VoIP for full duplex 2-way audio and video streaming, integrated PoE, embedded analytics, large pre-/post-event recording buffer, and advanced security camera protection. 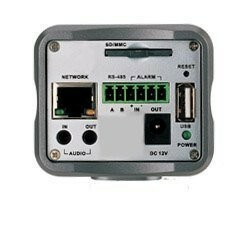 It supports the most comprehensive peripheral interfaces for alarm control, local storage expansion, and wireless network connection. 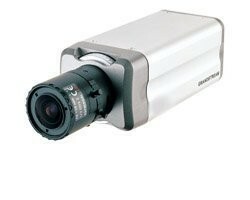 The GXV3601_HD network camera can be managed with GSurf, Grandstream's FREE video management software. 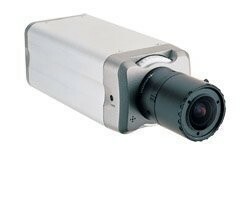 Image Sensor: Aptina 2 Megapixel CMOS Sensor, 1600H x 1200V, low noise levels and low light sensitivity. Lens Type: 1/3", 2.8 ~ 12mm, F1.4, Manual Iris, CS Mount (changeable). Max Video Resolution: 1600 x 1200. Pixel Dynamic Range: 71dB, with Max, SNR 41dB. Max Frame Rate in Max Resolution: 1600x1200 @ 15FPS; 1280x960 @ 23FPS; 1280x720 @ 30FPS; 1024x768 @ 30FPS; 800x592 @ 30FPS; 800x480 @ 30FPS; 640x480 @ 30FPS; e-PTZ, etc..
Multi-streaming-rate for Preview & Recording: Yes (Primary stream and 2nd stream). Security: Video watermark (OSD), HTTPS, Password. Peripheral Ports: SDHC 2.0; USB2.0.